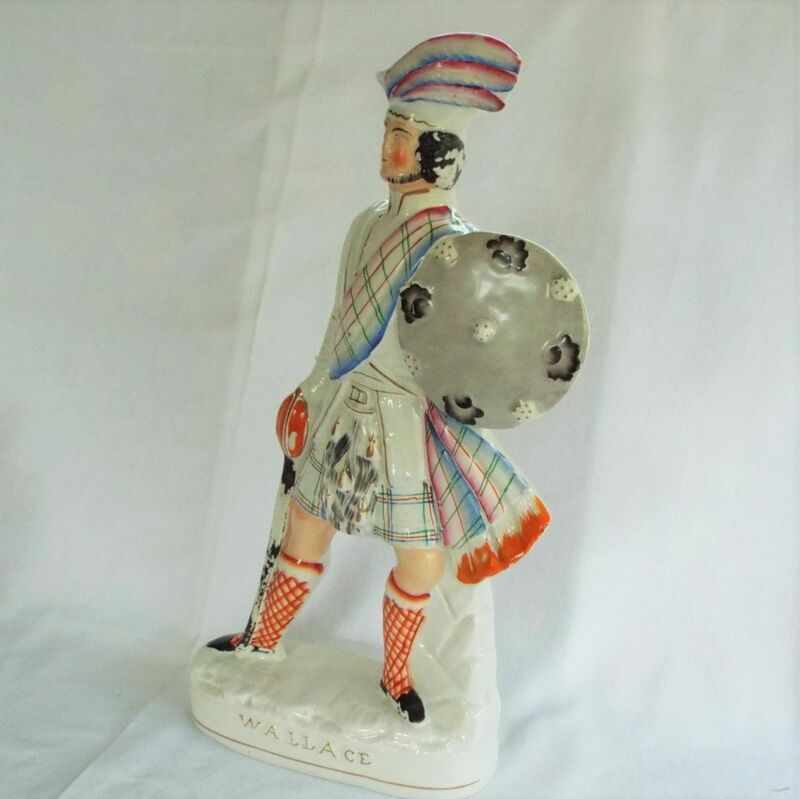 Large Victorian Staffordshire Flatback depicting William Wallace who led the fight against the English in Scotland in the late 13th century. 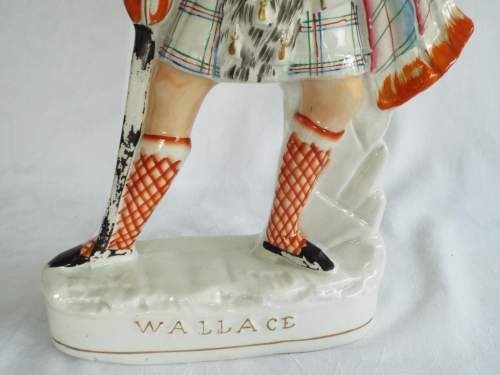 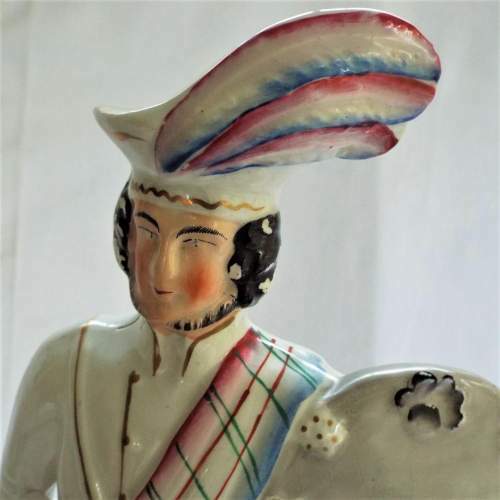 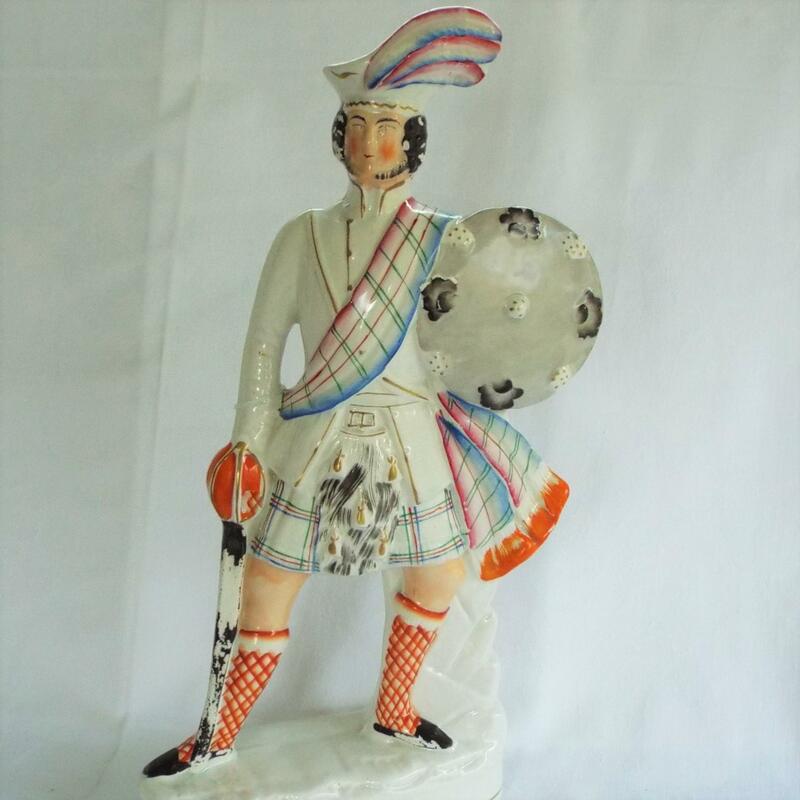 The figure is mainly white with highly coloured accents for example on the cockade, kilt and sash. 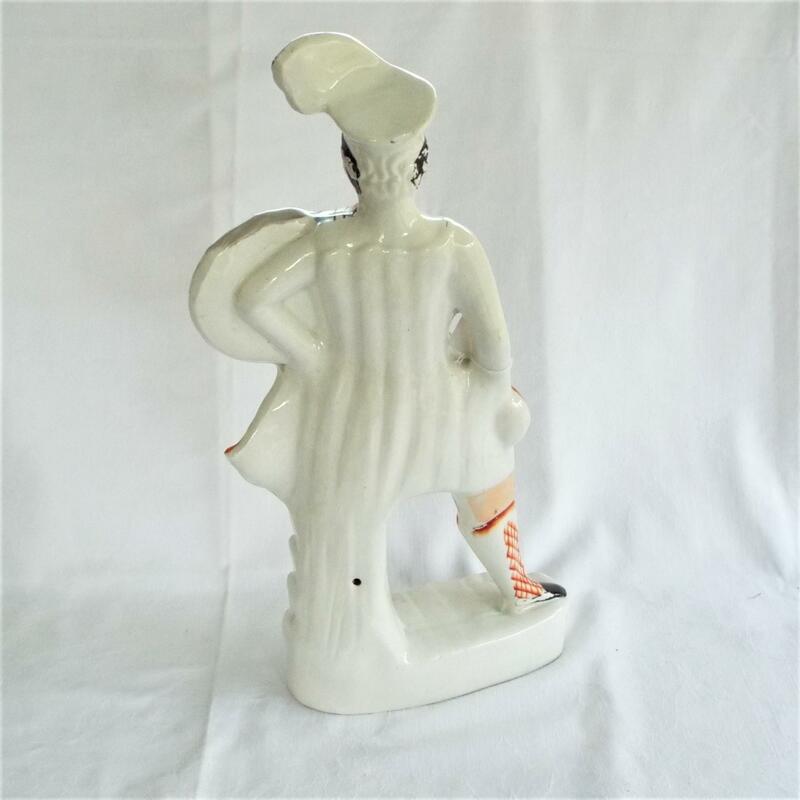 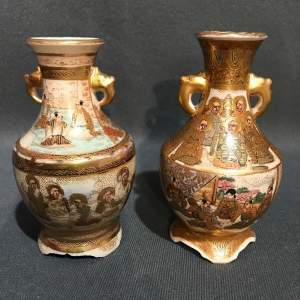 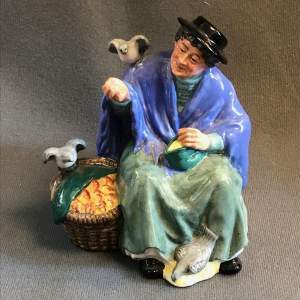 There is some missing paint and crazing as would be expected of Staffordshire pottery of this period and type. 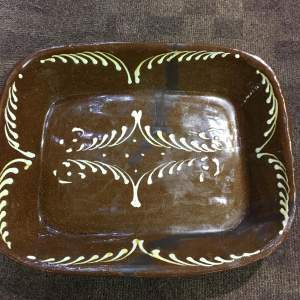 No breaks and no repairs.